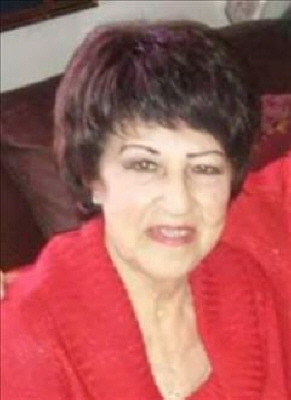 Victoria J. Quesada, 82, passed away February 03, 2019. Funeral service will be Wednesday, February 6th, 2019, at Abilene Funeral Home Chapel of Hope with Pastor David Gomez officiating. Burial will follow at Abilene Municipal Cemetery, directed by Abilene Funeral Home. Mrs. Quesada was born December 23, 1936, in Abilene to Avelino and Manuela Juarez. Mrs. Quesada was preceded in death by both her parents, her husband of 68 years Luis Quesada, siblings Aurora Daniels, Andrea Ramirez, Mary Loya, Eva Mendoza, Marcelino Juarez and Constancio Juarez. She is survived by her children: Sal and wife Joyce Quesada of Port Arthur, Luis Jr. and wife Nina Quesada of Abilene, and Ricky Quesada and Yolanda Quesada both of Abilene, sisters Dominga Rosales and Carmen and husband Eleseo Gomez, both of Abilene. She also leaves behind 15 grandchildren and 19 great grandchildren and a host of extended family and friends. The family will receive friends at a rosary on Tuesday February 5,2019 from 6:30PM - 7 PM, at Abilene Funeral Home Inc. with a visitation to immediately follow from 7PM - 8PM. To send flowers or a remembrance gift to the family of Victoria J. Quesada, please visit our Tribute Store. "Email Address" would like to share the life celebration of Victoria J. Quesada. Click on the "link" to go to share a favorite memory or leave a condolence message for the family.